Think of us as your personal in-house graphic design department - at a fraction of the cost. 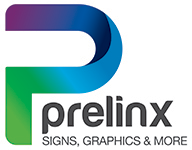 Our graphic designers work to ensure your printed promotions satisfy all of your marketing needs. So whether you're in the brainstorming process or are ready to print, our designers are experienced to handle your order from start to finish. Whether you need business cards, postcards, brochures, flyers, hangtags, posters or something completely ornate our designers are here to meet your needs. Please fill out the form or call us at 201-881-8000 and we'll contact you within 24 hours to discuss your artwork needs.